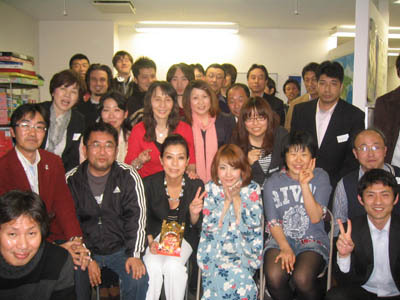 On May 1st Studio May took part in the Smile For Japan Charity Event at InZone, Miyanomori. 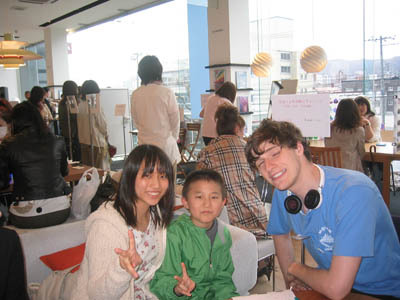 The Studio May Staff gave English, French, Vietnamese and Bangladeshi lessons in exchange for 500 Yen charity tokens! Over 1000 people came to the event. It was a great success! AND Everyone had fun! 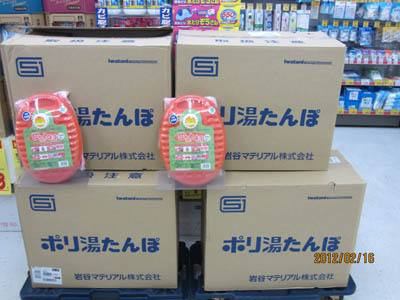 We hope that the people in the effected earthquake areas are doing ok!! The next studio may party is on the 28th of May. It is a Sakura Project charity event. Please come and support the people in the various earthquake effected areas. 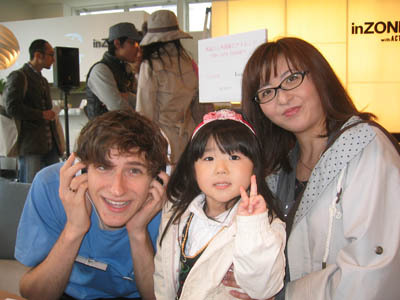 The Studio May Staff at Smile for Japan! Alex teaching some beginner English! 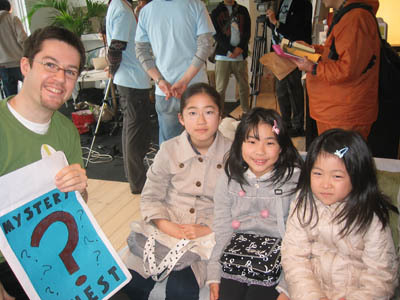 Jack and three little students playing an English Game! Alex and a Studio May student! Yonan and Toun! Jacqueline and a would-be French student! On the 23rd of April we had our International Party! 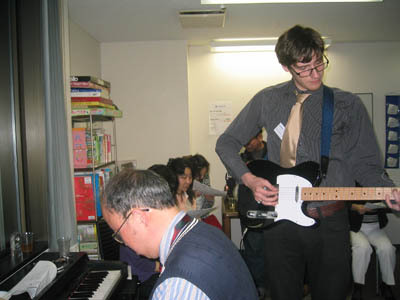 Alex played Beatles songs and Fatema, our new Teacher from Bangladesh, made some tasty curry! Next month the party is on the 28th! Please come! It will be incredible! Alex and a student playing "Imagine" by John Lennon! 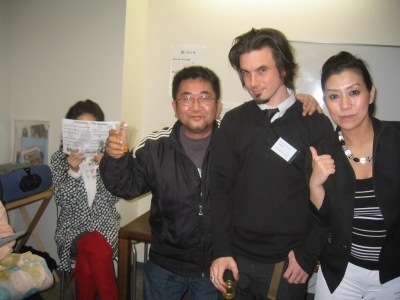 Ian Sensei and some guests having fun together!! Everyone say "WE LOVE STUDIO MAY!!!" 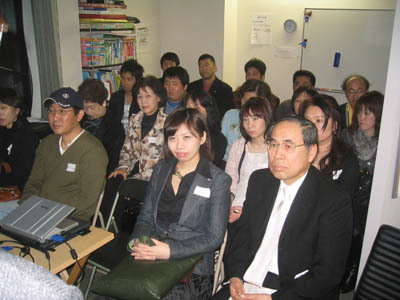 On March 26th we had a SAKURA PROJECT event at Studio May ! 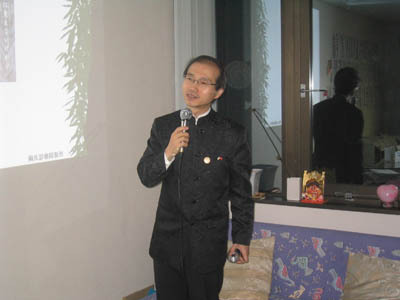 Tou Sensei, a Chinese professor gave a presentation about the psychological effects that major disasters have on those not directly affected by the event. It was very informative. 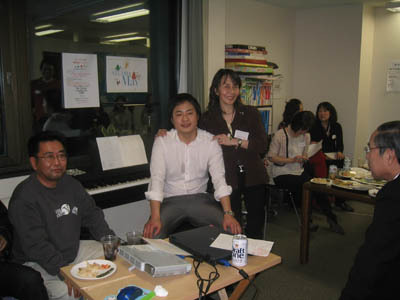 We also raised a lot of money for the earthquake and tsunami victims. 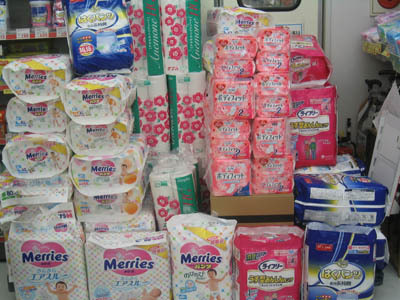 Thanks to everyone's efforts and donations to Studio May's Sakura Project, we were able to purchase a lot of emergency supplies for the victims of the Tohoku earthquake and tsunami. 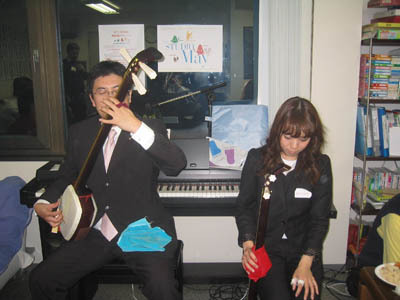 There was also music from Mr. Uematsu and Mr. Tsubokawa and Ms. Kuromori played the shamisen. It was fantastic! 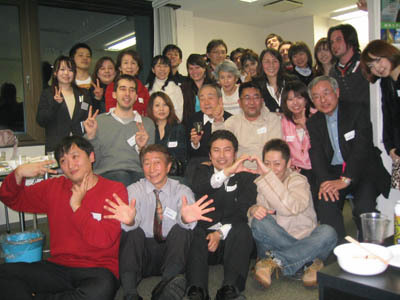 On 26th of february studio may had it's international party! 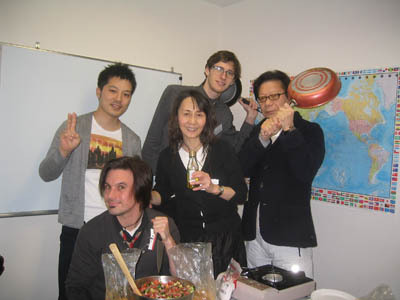 Ian Sensei cooked Turkish food and Indian Curry style potatoes. It was tasty! Everybody thought so! 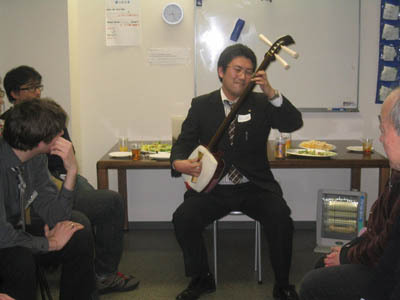 A famous Shamisen player gave a fantastic performance and Alex Sensei played guitar and sang. Everybody was very happy! It was a fantastic night which everyone enjoyed. The next party is on the 26th of March. The cooking team! Frying-Pan Attack!